The members of the family present on the martial arts field all lowered their heads in respect, as if they were bowing to an emperor. No one expected that a small issue between two Origin Core Realm disciples would have raised the attention of the Blazing Fire Golden Sheep Race Patriarch. "Come with me!" Si Liuhan looked coldly at Zhao Feng and spoke. The two figures then disappeared. In the forbidden grounds of the Blazing Fire Golden Sheep Race was a golden palace. Although this place was forbidden, there were no guards around or any defensive arrays. This was because the patriarch of the Blazing Fire Golden Sheep Race himself was the strongest. Any four-star power in the Ancient Desolate Realm of G.o.ds needed at least one True G.o.d. In the eyes of two-star and three-star forces, True G.o.d experts were the real experts of the realm. Just one word from a True G.o.d could decide their fate. "Patriarch, I've brought him!" The Second Elder stood respectfully to the side. At the front of the hall was an elder with white hair and a withered aura. This person was the Patriarch of the Blazing Fire Golden Sheep Race, True G.o.d Sky Fire. 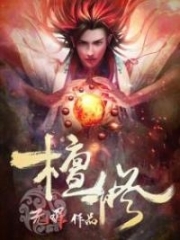 His eyes suddenly opened, and two rays of golden light looked at Zhao Feng with limitless force. "Human, what is your goal in causing trouble in the Blazing Fire Golden Sheep Race and injuring my clansmen?" True G.o.d Sky Fire's voice resounded across the hall. The entire hall seemed to freeze. Just raising one's hand or foot required one to face this ma.s.sive pressure. The Second Elder felt that even breathing was difficult, but Zhao Feng had a calm expression and steady aura. "This one just wants to obtain some resources from the Blazing Fire Golden Sheep Race by relying on my strength!" Zhao Feng got straight to the point and looked at True G.o.d Sky Fire. Since he had been in the Ancient Desolate Realm of G.o.ds for a while now, Zhao Feng basically understood the rules of this world. According to his guesses, True G.o.d Sky Fire should be a relatively old Rank One True G.o.d. If True G.o.d Sky Fire had a divine weapon, then his strength would probably be even greater than True G.o.d Tian Fan when he descended to the continent zone. A Rank One True G.o.d was enough to wipe out the entire continent zone, but Zhao Feng wasn't the Zhao Feng from back then anymore. At the very least, if he focused on running, there was nothing a Rank One True G.o.d could do to him. "What do you want?" True G.o.d Sky Fire's eyebrows furrowed together. No force would reject experts. As long as one wasn't from an opposing force and was strong enough, they could work together. The strength that Zhao Feng just displayed a moment ago easily surpa.s.sed normal DemiG.o.ds. His true strength was probably on par with the race's First Elder. "One: cultivation resources. Two: the Blazing Fire Golden Sheep Race's map!" Zhao Feng told them what he wanted. "Patriarch, this person's background is unclear and very likely might be a spy sent by other races. We should do a thorough search first before coming to a decision!" Si Liuhan immediately said. It was obvious that he didn't like Zhao Feng's att.i.tude. Furthermore, Zhao Feng had slain one of his descendants in front of so many people, which made him lose a lot of face. Although he wasn't confident that he could defeat Zhao Feng personally, the patriarch was present, so he was obviously thinking about how to frighten Zhao Feng. "This one comes from a place very far away and knows nothing about this place at all. 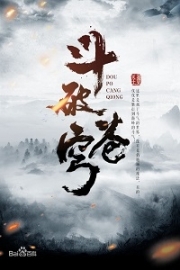 That's why I want the map in the first place," Zhao Feng said with a calm expression. "Brat, maps are extremely important and precious in the Ancient Desolate Realm of G.o.ds. They are a symbol of status, and they aren't easily obtained!" True G.o.d Sky Fire said with interest. The Ancient Desolate Realm of G.o.ds was filled with countless dangers, and nature was everchanging, so a detailed map was extremely useful. Furthermore, every inch of land was being fought over at every moment by different races or powers, so the more recent the map, the more precious it was. "If that's the case, then I will just have to go to some other race nearby!" Zhao Feng said with a smile and prepared to leave. "Test him out!" Sky Fire True G.o.d messaged Si Liuhan. "Do you think this is a place you can enter and leave as you wish?" Si Liuhan's face turned cold as a golden spear appeared in his hand. "Golden Flow Raging Howl!" Si Liuhan waved the flaming golden spear, and golden flames that could melt anything instantly appeared around him. Golden waves filled the sky and charged toward Zhao Feng. "Substandard G.o.d weapon!" Zhao Feng's expression changed. Substandard G.o.d weapons would only appear once every couple dozen millennia in the continent zone. Only a small number of DemiG.o.ds had one. However, the Ancient Desolate Realm of G.o.ds was different. Most DemiG.o.ds had substandard G.o.d weapons, and sometimes, they even had more than one. The one that Si Liuhan had was of a very high grade. Zhao Feng's figure flashed toward the flame-covered Si Liuhan. "What?" Si Liuhan's expression changed dramatically. He originally thought that Zhao Feng would at least take out a weapon to fight back, but Zhao Feng was charging toward his attack with bare fists. Golden flames churned and lightning blew as Si Liuhan's figure slammed into a wall. Since the hall was under the protection of True G.o.d Sky Fire, no damage was done. "How is this possible?" Si Liuhan's expression turned to shock. At this moment, Zhao Feng looked at the spear in his hands with a smile. This spear was Si Liuhan's substandard G.o.d weapon. In the exchange just now, Si Liuhan was defeated in one move, and even his substandard G.o.d weapon was taken by Zhao Feng. Si Liuhan was utterly shocked, and cold sweat poured down his back. He originally thought that, although Zhao Feng could defeat the Fifth Elder in just one move, he was only a bit stronger than the Elder. However, Si Liuhan was defeated in one move as well, just like the Fifth Elder. The substandard G.o.d weapon was put into the Misty Spatial World by Zhao Feng. "Thank you for the present, Elder Si. I'll be going now!" Zhao Feng laughed, then continued to leave. Since his state of existence had reached the level of a True G.o.d, attacks from anyone weaker than a True G.o.d wouldn't do much damage to him. Even though he was in the Ancient Desolate Realm of G.o.ds now, that was still the same. "Little Friend, slow down. Your strength is enough to obtain the map of the Blazing Fire Golden Sheep Race!" True G.o.d Sky Fire said with a faint smile. Just now, he purposely let Si Liuhan test out Zhao Feng's true strength, but he could only see one thing from the exchange, and that was a Divine Body. Although Zhao Feng was only at the late stages of the Mystic Light Realm, his state of existence had reached the level of a True G.o.d. He cultivated a profound body-strengthening technique, allowing his body to be on par with a Divine Body. It was because of this that Zhao Feng was able to completely ignore Si Liuhan's attack and steal his substandard G.o.d weapon. "I just remembered that I'm still lacking a few weapons!" Zhao Feng stopped and revealed a cunning smile. Si Liuhan lowered his head in embarra.s.sment. His substandard G.o.d weapon had been taken away by Zhao Feng, and now the latter was saying that he still lacked weapons? "Little Friend Zhao doesn't need to worry about that!" True G.o.d Sky Fire hesitated for a moment before saying with a faint smile. "Okay, then I'll be waiting!" Zhao Feng smiled faintly and bowed before leaving. "Patriarch, no one knows the history of that brat, and he's extremely greedy. Do we really need to borrow his power?" Si Liuhan was slightly unhappy. After losing his substandard G.o.d weapon, Si Liuhan might not even a match for the Third Elder now. "His strength is greater than you think, and the current situation of the Blazing Fire Golden Sheep Race isn't very good…." Helplessness flashed through True G.o.d Sky Fire's eyes as he sighed lightly. After leaving the forbidden grounds, Zhao Feng relocated. The Green Jade Sheep Race was also fine, and they received better treatment from the Blazing Fire Golden Sheep Race. Eventually, everyone from the Green Jade Sheep Race arrived outside Zhao Feng's hall. "The Green Jade Sheep Race will never forget Senior Zhao Feng's grat.i.tude. We cannot repay you…." Everyone from the Green Jade Sheep Race knelt on the ground. "Get up. I can't stay here forever. In order to be respected by others, you have to rely on your own strength!" Zhao Feng sighed. "The Green Jade Sheep Race understands." Those from the Green Jade Sheep Race had decisive gazes. Instead of being punished by the Blazing Fire Golden Sheep Race for causing trouble in the Blazing Fire Golden Sheep Race - heavily injuring an upper echelon member and killing Si Jinhua - Zhao Feng was instead respected by the Blazing Fire Golden Sheep Race. All of this was because of strength. On the other hand, the Green Jade Sheep Race had done nothing wrong but had to apologize even after being humiliated by the Blazing Fire Golden Sheep Race. Right now, the Green Jade Sheep Race was just being protected by Zhao Feng. Once Zhao Feng left, their status would drop by a thousand yards, and they would be bullied once more. 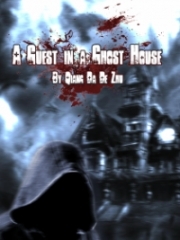 Zhao Feng entered seclusion once more after the Green Jade Sheep Race left. Zhao Feng mult.i.tasked within the Misty Spatial World. He first cultivated the Five Elemental Wind Lightning Technique to consolidate and strengthen his foundation. He would soon be able to successfully reach the peak stages of the Mystic Light Realm. The second of his thoughts absorbed the G.o.d Tribulation Lightning symbols and used the power of G.o.d Tribulation Lightning to refine his Sacred Lightning Body. 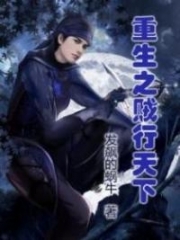 The G.o.d Tribulation Lightning symbols had always been Zhao Feng's killing move, and he started to absorb G.o.d Tribulation Lightning without worry after obtaining the Lightning G.o.d Crystal. It could increase his strength and refine his Sacred Lightning Body. Zhao Feng used the third of his thoughts to increasing the level of his comprehension. Three fruits floated in front of Zhao Feng. At this moment, several small holes were present in these fruits, so more Intent washed toward Zhao Feng. Zhao w.a.n.g and Zhao Wan were cultivating not far away from Zhao Feng, and the Intent was also very useful for them. "Strength is everything!" Zhao Feng had a decisive gaze. Although his status in the Blazing Fire Golden Sheep Race wasn't bad, four-star powers were only middle-level existences in the Ancient Desolate Realm of G.o.ds at best. There was nothing to be happy about. Furthermore, the Blazing Fire Golden Sheep Race was the most normal and weakest four-star power; they only had one Rank One True G.o.d, who was reaching the end of his lifespan. It was because of this issue that the Blazing Fire Golden Sheep Race urgently needed other experts and were thus so respectful to Zhao Feng. If it was a four-and-half-star force instead, they wouldn't need Zhao Feng's help. "The Spiritual Race is at least a five-star race!" Zhao Feng's heart shook. If he went to the Spiritual Race with his current strength, his result would probably be the same as the Green Jade Spirit Race when they arrived at the Blazing Fire Golden Sheep Race. Si Liuhan arrived at Zhao Feng's place ten days later. "Zhao Feng, this is the map that the Blazing Fire Golden Sheep Race has created!" Si Liuhan took out a jade slip that was enclosed with a unique secret technique. 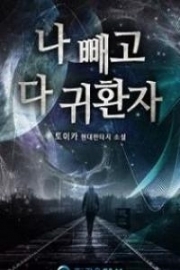 You're Read King of Gods Chapter 1149 Respec online at NovelOnlineFull.com. You can use the follow function to bookmark your favorite novel ( Only for registered users ). If you find any errors ( can't read,broken links, can't load photos, etc.. ), Please let us know so we can fix it as soon as possible. And when you start a conversation or debate about a certain topic with other people, please do not offend them just because you don't like their opinions. 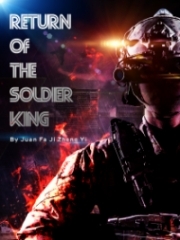 You're reading King of Gods. This manga has been translated by Updating. Author(s): Fast Food Resturant,快餐店. Already has 1510 views. Current Time is 18-Apr-2019 12:27:46 PM.